Crosstraining day on the schedule. Took a rest day today. I'm really hoping for a good long run tomorrow without any issues with my foot. So I was playing around with PicMonkey and making a couple collages and decided to show off the shirt designed I've received from my racing. I think they are all unique in their own way. Most I use to train with. Some I don't wear at all. Some I wear when not training - the cotton ones which is not very many. 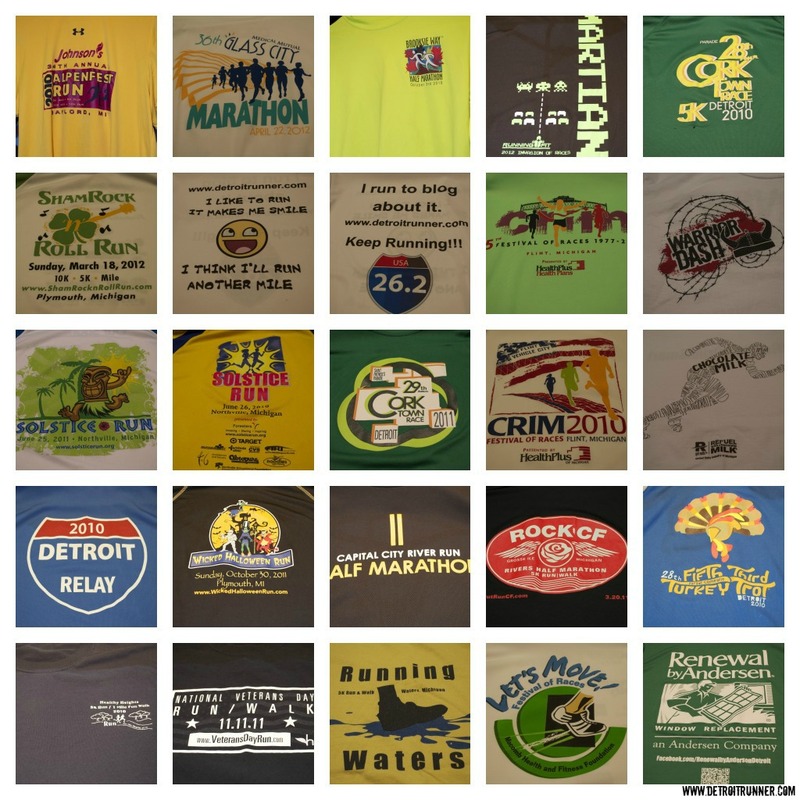 What's your favorite shirt you have received from a race? I sure don't need anymore shirts. It would be nice to get something else. 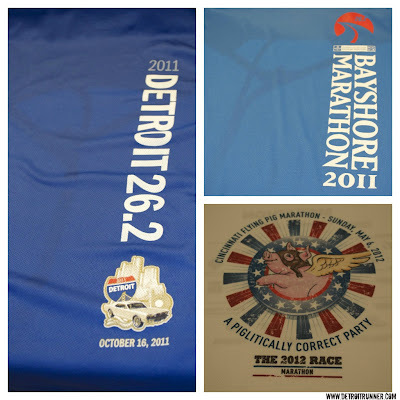 I got socks with the Bayshore marathon for example and I do use them because they are Fitsok brand and fit me well. I think tech hats would be a great finisher's item. I like my TC 10 Mile shirt. Much better than my Fargo marathon shirt even. Hoping that this years TC Marathon shirt is awesome! I agree on the hats! Cool shirt collection! I did a 5 miler here in town where they gave towels instead of shirts.